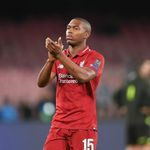 Daniel Sturridge has responded to his charge for breaching FA betting rules, Sky Sports News has been told, but the governing body will keep his submission secret until an independent disciplinary hearing is organised. Sky Sports News understands the allegation against Sturridge centres on a family member placing a £10,000 bet on him moving to Inter Milan. It is not know whether Sturridge pleaded guilty or not guilty, but it is understood he met Monday’s 6pm deadline for a response. The Liverpool striker was charged in November, following an eight-month investigation, and the FA currently has no specific time frame for the panel to sit to consider any possible punishment. Specifically, the 29-year-old has been charged in relation to Rule E8(1)(a)(ii) and Rule E8(1)(b), during the period of January 2018.